Corporate social responsibility is a becoming a measure of the company’s performance. This helps to indicate a wide range of stakeholders, from consumers, employees to investors. The report evaluates the CSR and sustainability practices that are followed by The Star Entertainment Group. It is an ASX listed company functioning in the consumer’s field offering various hospitality and leisure services across Australia. The report also analyses the CSR disclosure and reporting practices that is followed by the company in recent years. The report also discusses the company’s current reporting practice and CSR reporting guidelines as per the Global initiative reporting. Next part of the report spotlights the CSR reporting practices and motivation for using the stakeholder’s theories and legitimacy. At last, the report will discuss the findings and report the over system analysis of The Star Entertainment Group in the field of CSR and sustainability activities. With the changing technology and increased competition over the past few decades companies are needed to indulge in various activities for the sustainability and environmental responsibility. The concept of corporate social responsibility is gaining increased responses with the changing needs and awareness of the customers and other stakeholders. This has resulted to the introduction of the various guidelines and reporting system for such activities in Australia (Parliament of Australia, 2018). Sustainability reporting is the process of demonstration of the corporate responsibility with the help of measuring and reporting of the social, economic and environmental impacts and performance publically (Cooper, 2017). The disclosures can be made in the annual reports, sustainability report or there is also a provision of social impact report. It is also identified that the reporting of the sustainability is also voluntary in Australia (Parliament of Australia, 2018). There are a number of reasons that leads to need of reporting the activities including informing to the shareholders and impact on the company’s overall performance to improve the impacts. It is also done to tell the shareholders and other parties about the dealing with the non-financial and financial risks for the analysis of the key risks and analyse the performance (Parliament of Australia, 2018). There are some companies that are not interested in mandatory reporting the reason behind this is due to compliance costs and it might also possibly a situation of danger for the companies as due to mandatory compliance it is possible that companies will change the practices according to regulation rather than working in the best interest of the company (Depoers, Jeanjean, and Jérôme, 2016). On the other hand, some main reasons for supporting the mandatory reporting are setting up of structures and systems for understand risks and impacts that are not addressed earlier. Another benefit is this practice will provide information to institutional investors towards non-financial risks associated with the company it will allow them to gain over all clear picture of the company (Parliament of Australia, 2018). The most important benefit is the accountability and transparency among the stakeholders towards the company. The main aspects that are needed to be reported under the mandatory reporting are cost effective, flexibility and comparability. The Star Entertainment Group is ASX listed company that has several hotels providing various hospitality and other services at world class location of Gold Coast, Sydney and Brisbane. The company is introduced a five year strategy in year 2016 as sustainability strategy named ‘Our Bright Future’. The company is aimed towards building the business capacity and deliver continuous improvements towards the environmental, governance and societal issues (Cooper, 2017). The four main pillars identified in the strategy were to be Australia’s leading integrated resort, actively support guest well being, attract, retain and develop talented teams and develop world class properties (The Star Entertainment Group, 2018). One such achievement of the company is representation as global leader of Casino and Gaming industry. The company is also awarded with Dow Jones Sustainability Index where the maximum score were gained in Anti-crime policy and measures and promoting responsible gambling. The organisation is also committed towards environmental sustainability and it is actively working to deal with the various environmental issues caused by it (de Paula, and Gil-Lafuente, 2018). Since the company is using more floor space which leads to more energy consumption so the company is recommendations to the contractors to control on water, energy, waste, biodiversity, material and management of suppliers (The Star Entertainment Group, 2018). SGR is also committed towards waste reduction and has increased recycling from 20% to 33% exceeding the estimated target of 10% by the end of 2016. One of its Hotels, The star Sydney succeeded to achieve a recycling rate of 41% across all operations in 2016. The Group has also installed devices to save water resulted to approximately 52282 kiloliters saving of the water. Upgradation in the water drainage system also leads to save 22000 kiloliters of additional water at Jupiters Hotel and Casino (THE STAR ENTERTAINMENT GROUP, 2018). The other factors such as climate are also considered for the socially responsible practices. The star entertainment group is having a great focus towards the sustainability and the company is continuously following the various corporate social and sustainable goals. It is also indentified that the company and its employees are committed toward the reporting requirements for the various activities and operations that are carried out at the organisation to achieve sustainability. The core areas identifies where the company is putting efforts to minimise the pollution and other environmental aspects are energy, water, climate change. The company has also prepared year wise details of the information for the targets it has made and achievements (de Paula, and Gil-Lafuente, 2018). The company is also putting continuous efforts and inputted several changes in the lighting, water drainage and glass waste. There are lots of costs incurred in minimising the wastage of the various resources and it also leads to hamper the profitability of the organisation to some extent so the organisation is really working harder to attain more benefits in the form of cost perspective and wide range of performance areas. The standards covered under GRI include GRI 302: Energy 2016, GRI 303: Water and Effluents 2018 and GRI 307: Environmental compliance 2016. The company is offering various services at different locations so it is needed to comply with various standards that are related to the company. It is identified that the company is continuously following the Global initiative reporting and the major emissions related to GHG are carbon dioxide (GRI, 2018). The other approaches that are applied by the organisation towards awareness of the sustainability are National Sustainability Roadshow and hosting some of the global events one such event hosted was Commonwealth Games (Architecture&Design, 2018). GRI 307 that deals with environmental analysis compliance 2016 covers the various dimensions of sustainability including land, water, air and ecosystem. SGR is complying with this standard and also complying GRI 306 related to Effluents and wastage 2016 (GRI, 2018). This standard deals with the discharge of the effluents and treatment of waste the company is concerned with the issues related to water treatment and installed several systems that will help to save valuable water. The other practices related to social responsibility are $1.2 million benefit delivery to completion of 11 projects for energy and water pipeline. The company has also joined green building council for environmental friendly buildings and designs in future. It has installed more than 1200 indoor plants across the Sydney office. It has also provided assistance of more than 41787 meals donated to OzHarvest (THE STAR ENTERTAINMENT GROUP, 2018). The Star Entertainment Group is putting continuous efforts to maximize the interest of the stakeholders through the implementation of the various compliances relating to the corporate social responsibility and sustainability. The group continues to take a holistic approach to overcome number of factors that leads to energy consumption and environmental pollution. It is tracking its recycling and other records year by year to attain environment friendly approaches in the day to day operations such as electricity consumption, waste management, recycling and other emission related aspects (Gazzola, and Pellicelli, 2018). These practices are motivating the employees and other stakeholders to be more confident and rely on the group. The stakeholder theory is the theory that depicts that the organizations that are operating in the competitive environment are required to comply with the benefits of all the stakeholders (Epstein, 2018). So it suggests following the practices such as corporate governance, CSR and sustainability which will help the company to overcome the various issues present in the society and surrounding environment. Stakeholder’s theory is based on the morals, business ethics and values where the main idea is that the goodwill, success and prosperity of the organization are entirely dependent upon the relationship of the SGR with the stakeholders. It also suggests that each and every decision of the company affects the stakeholders and it is become significantly important at the present time when customers and other stakeholders are aware of the various practices followed by the organizations. It has become mandatory for the organizations to comply the practices such as sustainability, corporate governance and other social causes. This also helps the organizations to attain benefits in long term through maintaining better relations with the stakeholders (Dixon, Connaughton, and Green, 2018). The company is sing the concept of legitimacy and stakeholders theory as the various environment sustainability and resource saving will lead to create and develop trust among the stakeholders which will ultimately result to improve the confidence and trust of the various related parties towards the organization (Brueckner, Spencer, and Paull, 2018). 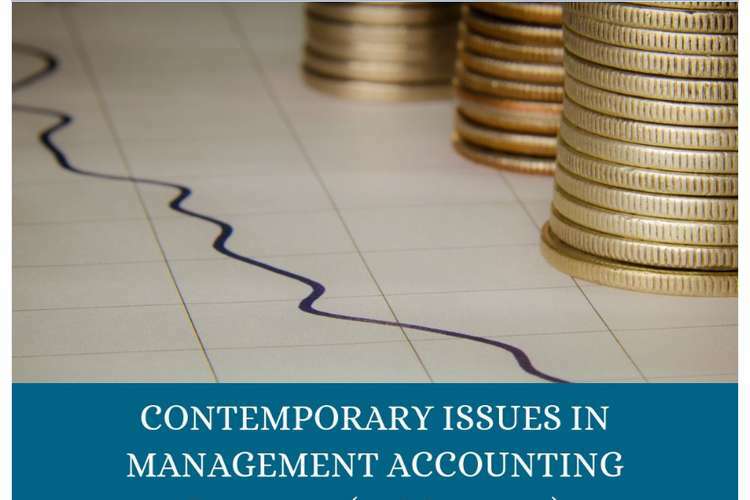 In addition to this, the proper recording and accounting of the various activities in the financial reports will help to analyse the information in quantitative manner. This information is also presentable to the stakeholders it will also help the invertors to analyse the organization in measurable outcomes (Epstein, 2018). The group is also evaluating the achievements on continuous basis and reports the achievements in the annual reports and website which indicates the timely reporting and following of the CSR disclosures. This indicates that the company is practicing the legitimacy and stakeholder’s theory is adopted by the whole group during the course of practice. The analysis of the practices at The Star Entertainment Group it is identified the organizations operating in the dynamic environment are needed to comply with the various needs as per the legislation and practices that are running. CSR disclosure and reporting is one of the practices which are mandatory to be followed by all the organizations that are operating in Australia. The companies adopt various practices for the purpose of social benefit and sustainability. These practices help to build and maintain trust among the investors and other stakeholders directly or indirectly associated with the company (Parliament of Australia, 2018). This is the reason SGR group is also complying with the standards and disclosing the activities and practices it adopts in practice. It also discloses all information for the transparent and disclosure principle of accounting. This practice helps to depict clear and fair picture of the company. The company is complying with the principles of sustainability through controlling the carbon emission, recycling the glass waste and installing new systems for saving water. The company has also replaced lighting system in some of the hotels to control the energy consumption. These practices helped the company to save several millions of monetary and other resources and contributed towards saving the valuable resources under the concept of sustainability (SGR, 2018). The company has also continuously evaluated the performance and is improving year by year by contributing towards sustainable and social welfare. These practices also associate with the stakeholder’s theory. This theory indicates the practices and approaches to be followed by the companies to attract and maintain long term relations with the stakeholders. Stakeholders approach is the practice that will not only benefit the organization in short run but it will also support to save the resources and environment issues for long term sustaining of the organization. The company is also complying with the Global Initiative reporting which is the world wide spread organisation supporting the businesses to understand and communicate environmental and ethical issues and issues various guidelines to deal with such issues (GRI, 2018). The various standards introduces are related to the waste, environment, climate and other factors that are affecting the environment. SGR is also participating in various events that are helping it to attain more sustainable practices such as energy saving up to 90% by installing energy saving lights, joined green building council and empowering women by including 50% female representation by 2020. It has also contributed to responsible gambling fund a sum of around $19.2million. This has resulted for the company to achieve the planned targets and sustainability goals in aggressive manner. It can be concluded that The Global entertainment Group has taken several steps towards the attainment of the CSR disclosures and reporting practice. The major areas that the company is making disclosures are energy consumption, water, waste, biodiversity, materials and management of suppliers. It is also identified that it is mandatory for the organizations regarding CSR disclosure. SGR is following disclosure and reporting practices on continuous basis and which helped the group to evaluate its achievements and motivates it for achieve better practices towards sustainability. It is also analysed that the company is also following Global Initiative Reporting which are the initiatives that are followed across various counties. The group is continuously improving toward the achievement of the energy consumption, waste management and recycling. The analysis also depicts that the company is functioning in the path of stakeholder’s theory and using the CSR reporting as a practice of legitimacy to maintain long term healthy relations with the stakeholders. 2. Brueckner, M., Spencer, R. & Paull, M. (2018). Disciplining the Undisciplined? : Perspectives from Business, Society and Politics on Responsible Citizenship, Corporate Social Responsibility and Sustainability. Germany: Springer. 3. Cooper, S. (2017). Corporate social performance: A stakeholder approach. UK: Routledge. 4. de Paula, L.B. & Gil-Lafuente, A.M. ( 2018). A contribution to the sustainable management of supply chain using fuzzy logic, COCREATING RESPONSIBLE FUTURES IN THE DIGITAL AGE: Exploring new paths towards economic, 238. 5. Dixon, T., Connaughton, J. & Green, S. (2018). Sustainable Futures in the Built Environment to 2050: A Foresight Approach to Construction and Development. USA: John Wiley & Sons. 6. Epstein, M.J. (2018). Making sustainability work: Best practices in managing and measuring corporate social, environmental and economic impacts. New York: Routledge. 7. Gazzola, P. & Pellicelli, M. (2018). Sustainable outsourcing in Italian SMEs. COCREATING RESPONSIBLE FUTURES IN THE DIGITAL AGE: Exploring new paths towards economic, 137. 15. Depoers, F., Jeanjean, T., & Jérôme, T. (2016). Voluntary disclosure of greenhouse gas emissions: Contrasting the carbon disclosure project and corporate reports. Journal of Business Ethics, 134(3), 445-461.